The download starts automatically, but you can click here if it’s not working. Because you don’t seem to be using a Mac, the download has not been started automatically. 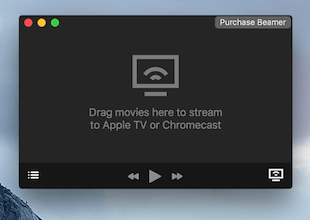 Beamer requires macOS Yosemite (10.10) or later. 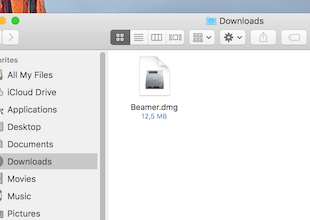 Open the file Beamer.dmg from your Downloads folder. 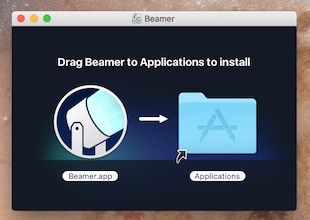 In the window that opens, drag Beamer.app to the Applications folder. The trial version plays the first 15 minutes of all video files. You can purchase a license in the app. If you already have a license file, double click the file to activate Beamer.